According to the Gospel of Matthew, the Magi (also known as the "Three Wisemen", "The Three Kings" or "Kings from the East") were men who came "from the East to Jerusalem", to worship the infant Jesus, who they describe as the Christ "born King of the Jews". The Gospel of Matthew tells us that the Magi came to Jesus by following a star, and brought him gifts. Herod tried tried to trick the Magi into revealing where Jesus was, but the Magi returned home by a different route, thus avoiding the trap. 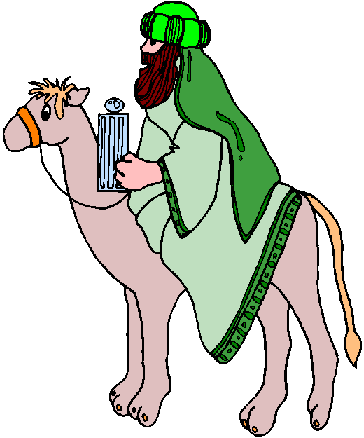 The Bible is not very specific about where the Magi came from, but Christian tradition, as well, as the word Magi itself, suggests that they were Persian or Parthian or perhaps from Babylon. (The word "Magi" in fact suggests that they were Persian priests). The Bible also does not tell us the number of Magi or their names, but traditionally there were always three. In Eastern Christianity, a number of names are ascribed to the Magi, however in Western Christianity there are traditionally known as Gaspar, Melchior and Balthasar. When they met Jesus, the Magi are described by the Bible as giving gifts and prostrating themselves in praise. Three gifts are explicitly mentioned in the Bible: gold, frankincense and myrrh. The Gospel of Matthew is not specific about the date of the Magi's arrival. A careful reading of the Gospel suggests that the Magi did not arrive on the night of Jesus' birth, but came some time later. Catholics and many other branches of Christianity commemorate the visit of the Magi on Epiphany, January 6th. 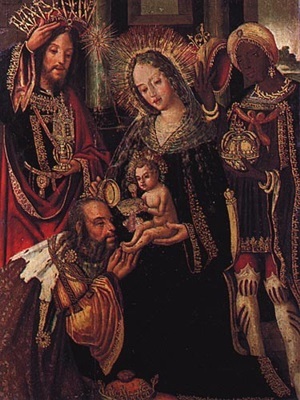 Because of their appearance in the Nativity Story, the magi usually feature in most Nativity Plays, and are also the subject of Christmas Carols such as "We Three Kings of Orient Are".